Determined. That is the word that best describes L. Stanley (Stan) Pigman. From humble beginnings in Knott County in eastern Kentucky, he was determined to attend University of Kentucky, determined to be a successful engineer and remains determined that students like him will also attend UK. That determination earned Mr. Pigman a Bachelor of Science in Mining Engineering in 1981. 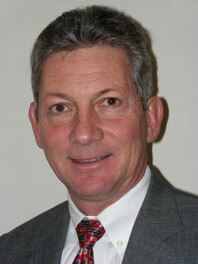 Mr. Pigman began his career as a project engineer with Sierra Coal Company in 1981. In 1983 became a market analyst with Old Ben Coal Company. He then joined Pyro Mining Company as manager of marketing and was later named director of marketing. In 1992, he joined newly formed Sugar Camp Coal as vice president of sales. In 1997, he and two business associates partnered with Black Beauty Coal Company, a subsidiary of the world’s largest coal producer, where he became director of marketing in March 2000. Mr. Pigman managed Black Beauty’s extensive assets in Illinois by introducing expanded coal production. In June 2001, Mr. Pigman’s entrepreneurial spirit took over and he formed his own company, Pigman Coal Sales, providing sales services to an independently owned start-up company for a new greenfield mining project in western Kentucky. In the short time Mr. Pigman owned the company, it reached revenues of over $40 million. Since selling that company in 2004, he has created three companies that own and lease coal properties – Mackey Development, Delaware Resources and Buck Creek. These companies provide exploration, engineering and permitting services to sites totaling more than 50,000 acres containing more than 400 tons of coal. Mr. Pigman received a scholarship to attend UK and credits his success to that support. He believes in providing a foundation for those who dream of a college education. As a result, Mr. Pigman has developed a scholarship program like no other in the college. In 1999, Mr. Pigman and his wife, Sheila, created a scholarship endowment and gave generously of their time, as well as their finances. Mr. Pigman’s commitment never faltered, even after Sheila’s death in 2002. He continued to visit campus and meet with the college’s scholarship coordinator, poring over applications, talking with students and making recommendations for the awards. Since the inception of the scholarship, 22 students, many of whom were the beneficiaries of Mr. Pigman’s generosity from their freshman through senior years, have gone on to pursue graduate degrees or enter the work force as engineers. Now, 10 years later, his commitment is even stronger for undergraduate engineering education. His scholarship support continues, ever increasing the number of students he supports. Without question, Mr. Pigman and his wife, Karen, are the college’s most engaged scholarship supporters as they call, write, visit and host every student who receives their scholarship. Mr. Pigman is a mentor, career counselor, cheerleader and parent to every student. In addition to supporting engineering students, he supports students across all majors on campus. When he learned of the Robinson Scholars Program, one that supports students from eastern Kentucky, he quickly became a champion of its merits. His enthusiasm for students and their successes is unmatched. Applying his entrepreneurial spirit to the college, in 2008 Mr. Pigman founded the Leadership Development Program, one of only a few of its kind in the country. The program offers outstanding seniors an opportunity to learn and experience leadership through a number of venues and interactions. This sought after program is becoming known as the crown jewel of the senior year. The long list of professional involvements tells of Mr. Pigman’s passion for UK and the College of Engineering. Most notably, he is a member of the Dean’s Advisory Council, the Mining Engineering Foundation board of directors, the college’s campaign steering committee, the UK Alumni Association and its recently established UK Alumni Expert Network. His generosity has earned him membership in the UK Fellows Society as a John Bryan Bowman Fellow and the College of Engineering Quadrangle Society. Mr. Pigman serves his community in many capacities including board member and former president of Hospice of the Piedmont, the United Way Alexis de Tocqueville Society and the High Point Chamber of Commerce. Though he left Knott County years ago, he continues to support mission endeavors there, helping fund two missionaries working in eastern Kentucky. He and his wife, Karen, reside in High Point and Figure Eight Island, North Carolina.